Data entry jobs are frequently the bait in work-at-home scams, so check out all data entry opportunities carefully. Know how to recognize a data entry scam, and do not pay for kits or software. Remember that data entry doesn't pay a lot, so be wary of any jobs promising a hefty payday. These legitimate companies offer various types of data entry jobs that you can do from home. To find out more about what these jobs entail, read more about online data entry jobs. While most of the jobs this company has are transcription jobs, not typical data entry work, it may hire people who score well on its application assessments. Pays per word. Hires in the U.S., U.K., and Canada. This company accepts applications when it has jobs available, which isn't very often. 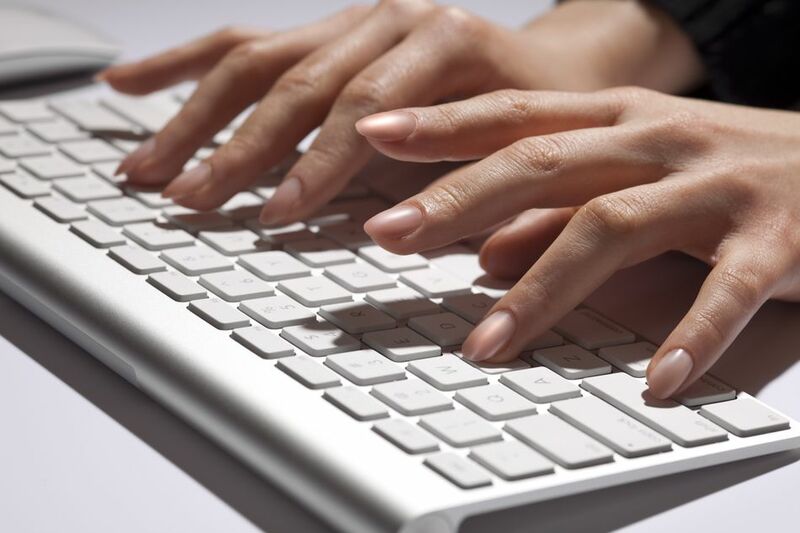 Data entry jobs at this company pay independent contractors on a per-piece basis. While the crowdsourcing division of the online retail company does not have traditional data entry jobs, it is worth mentioning because this online exchange for small tasks can be very similar to data entry work. It can be time-consuming work that doesn't pay well, however, despite being a division of Amazon. Outsourcing company based in South Carolina provides virtual office services. In addition to its transcription and data entry jobs from home, it offers online customer support, translation, and secretarial services. Though this company mostly hires legal and general transcriptionists, it does sometimes have more basic data entry jobs available. Worldwide crowdsourcing company hires independent contractors for data entry as well as writing, translating and researching. Work is done in very short tasks, making this a micro job. Pays on a per-piece basis. Registration and assessment are necessary before "click workers" can begin accepting tasks for payments. Data entry and document scanning company, based in Georgia, hire independent contractors for online data entry work from home. The company offers telecommuting as a perk for data entry workers who post to websites and internal database and do proofreading. Must type 30 words per minute. Pays $10.50/hr. When positions are available, they are posted on its website. Freelance transcriptionists choose audio files to transcribe at $10 per audio hour. Files are 6 minutes or less. Opportunity for advancement to a reviewer. Online crowdsourcing opportunity has freelancers processing voter registrations and petition signatures. Payment is on a per-piece basis adjusted for accuracy and made through PayPal. The company hires independent contractors for both call center and data entry jobs in the U.S. and worldwide. However, U.S. applicants are targeted for the call center jobs.